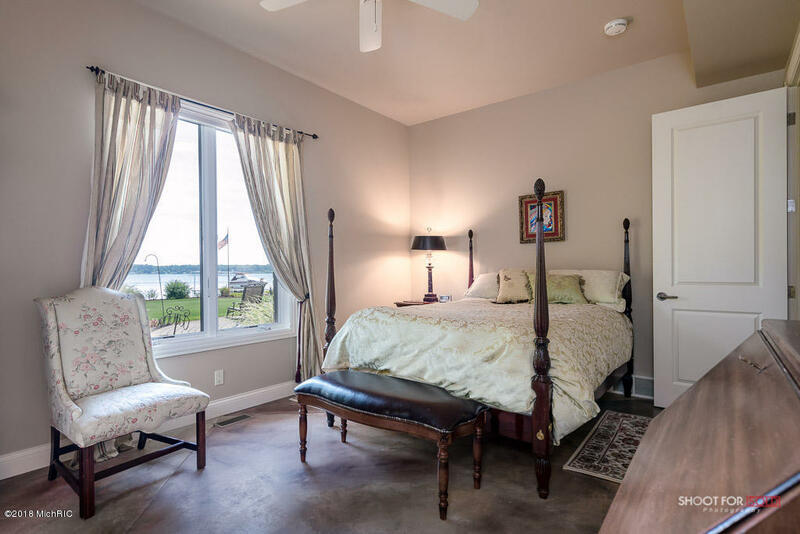 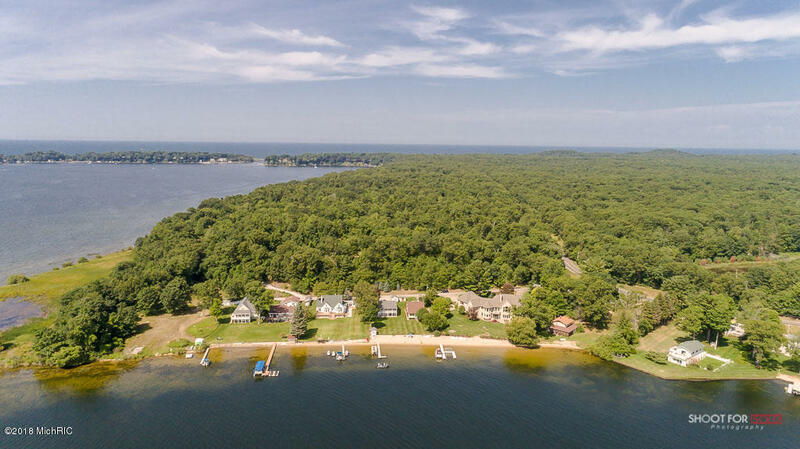 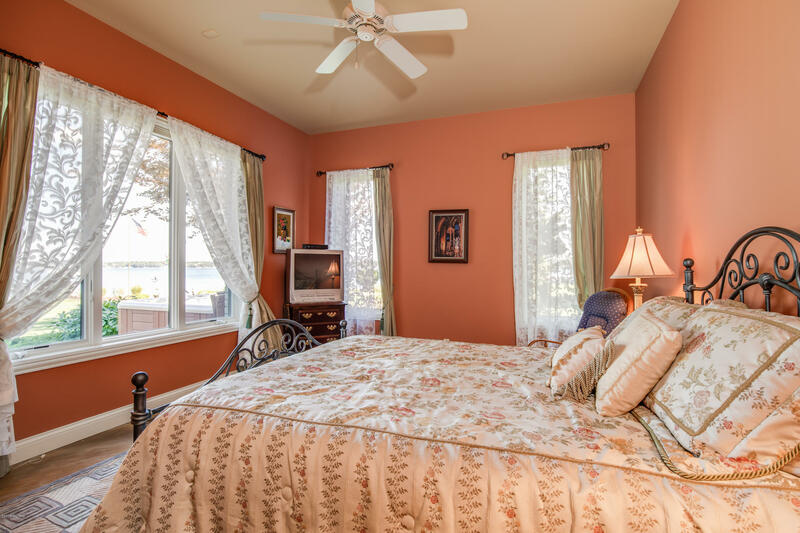 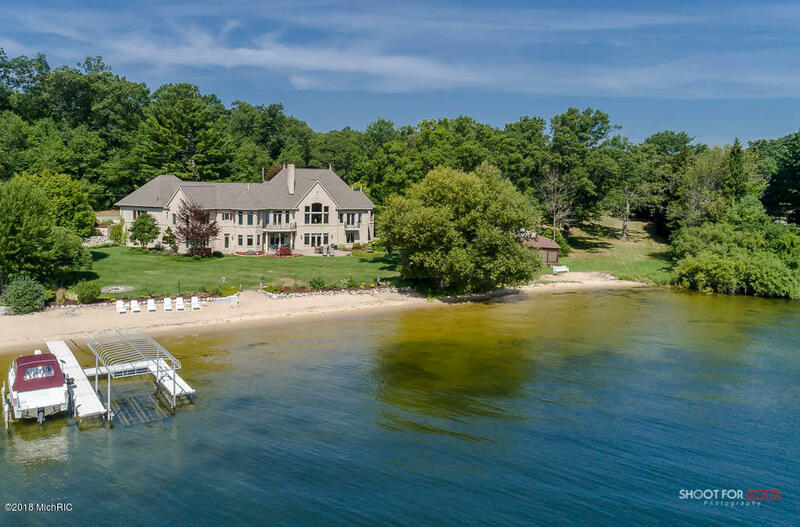 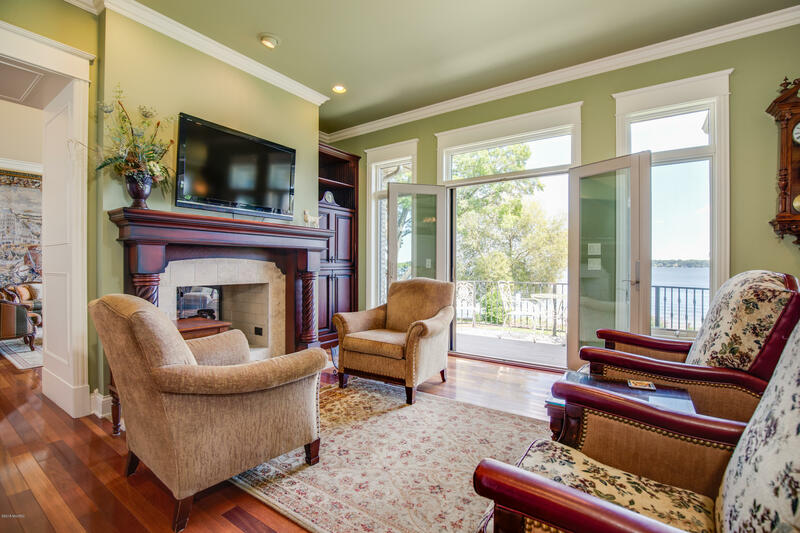 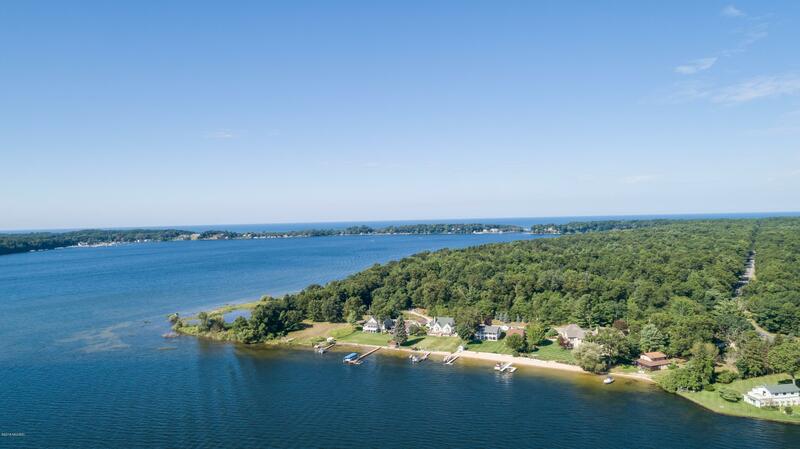 Watch the waves lap upon the sandy shores of White Lake from your luxury Beach Home in a highly desirable location with NO STEPS TO YOUR BEACH! 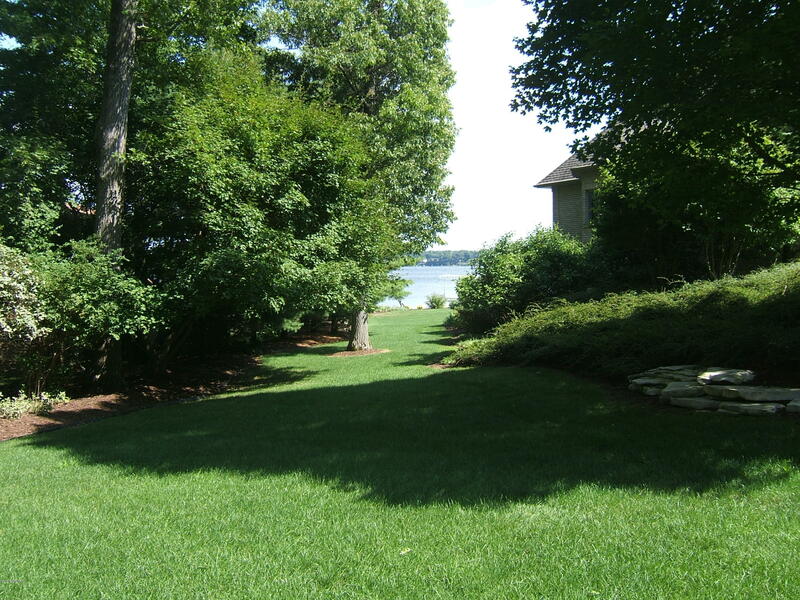 Walk across the professionally landscaped yard to wide sandy beach. 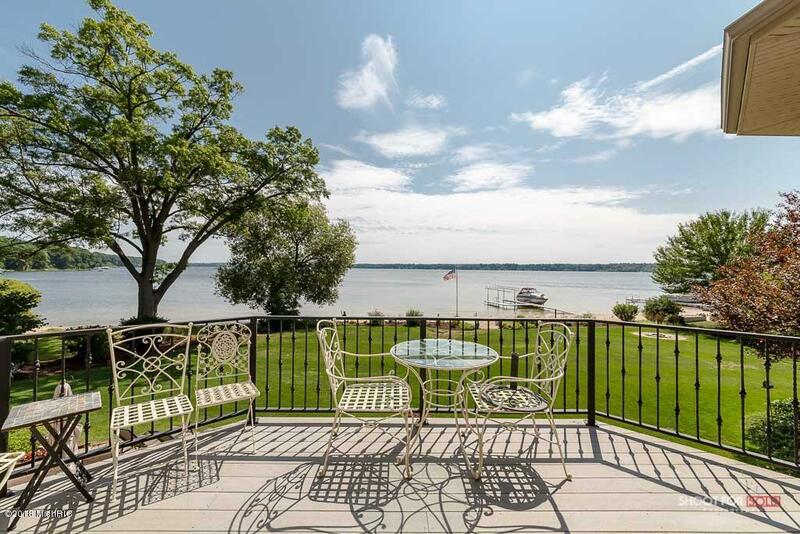 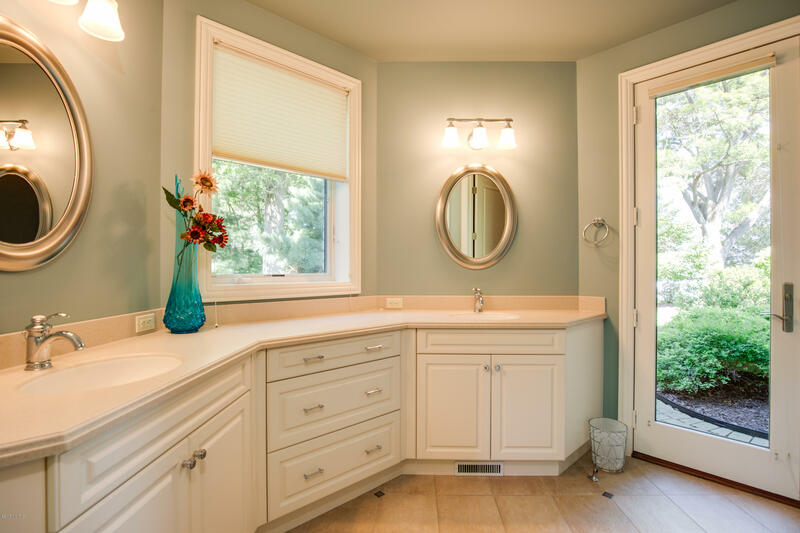 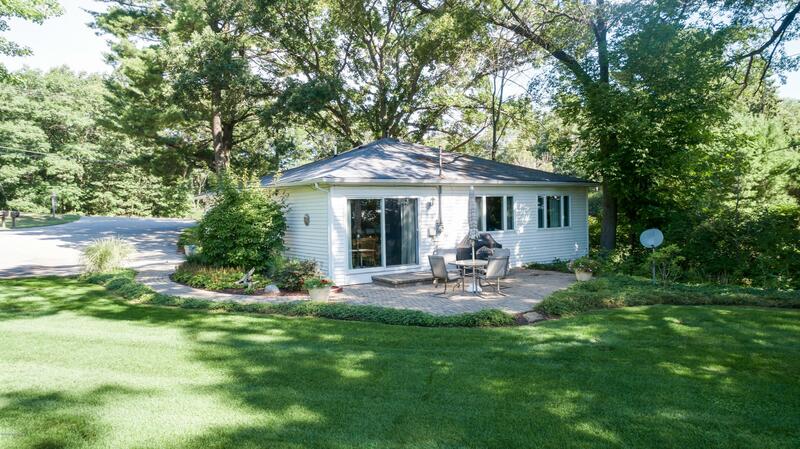 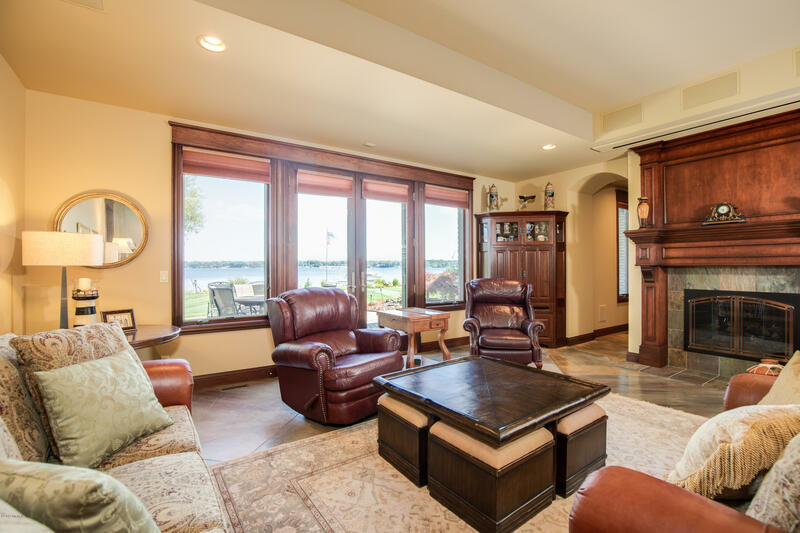 White Lake will be your backdrop with Lake Michigan deep water access nearby. 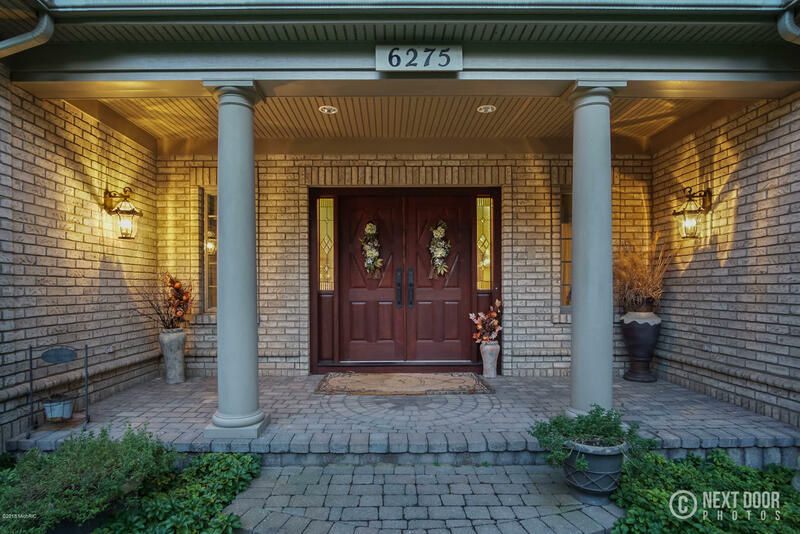 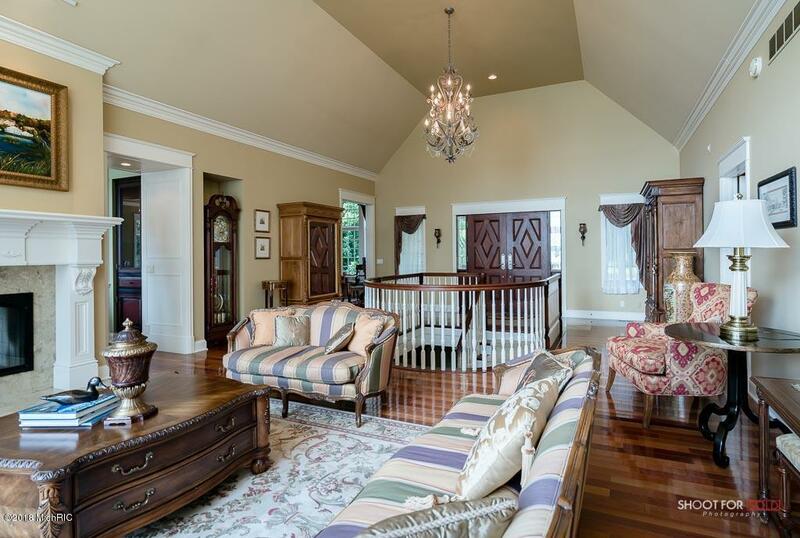 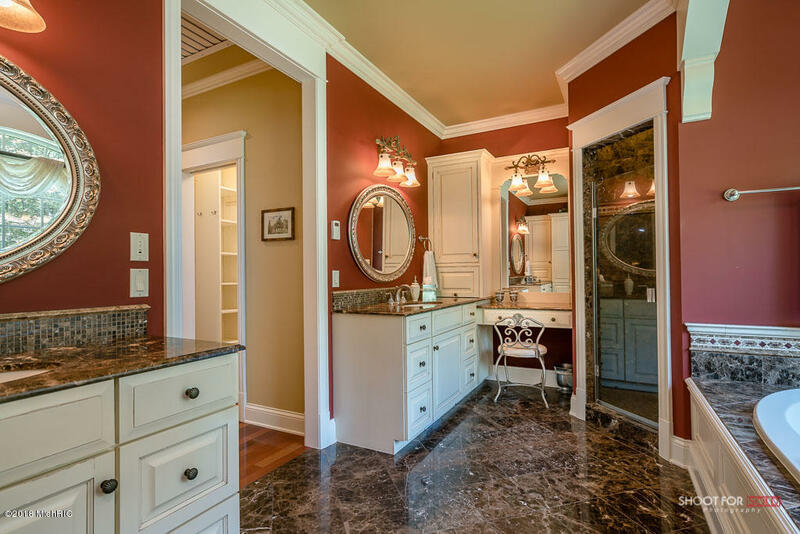 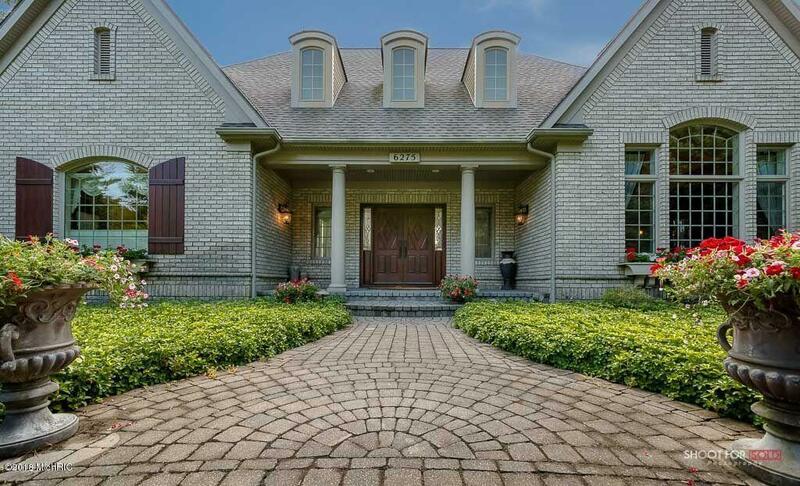 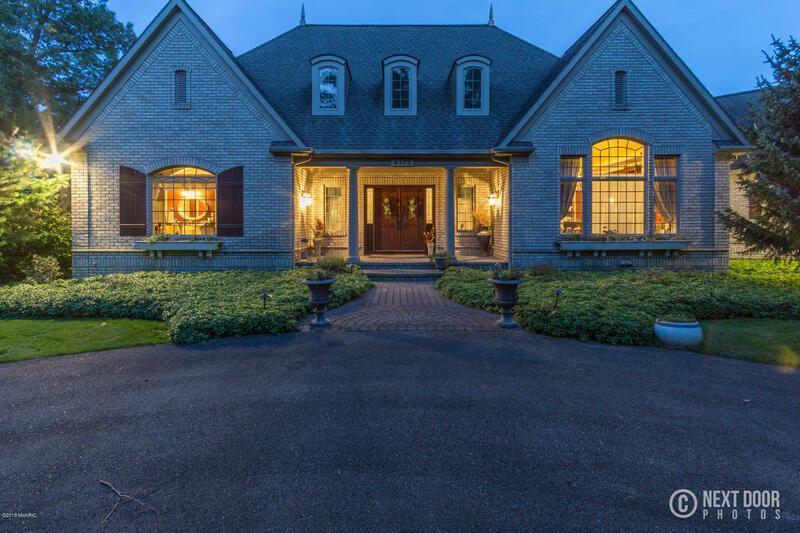 Timeless architectural design, 5 bedrooms, 4.5 baths and terrific floor plan. 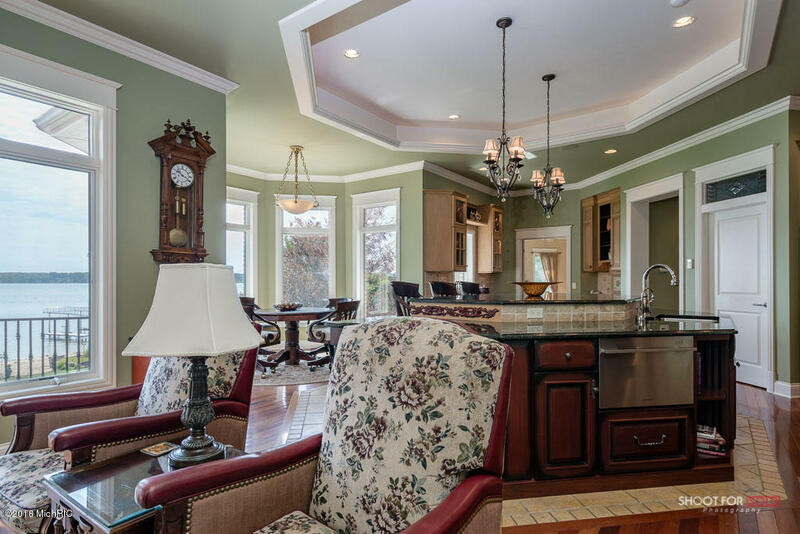 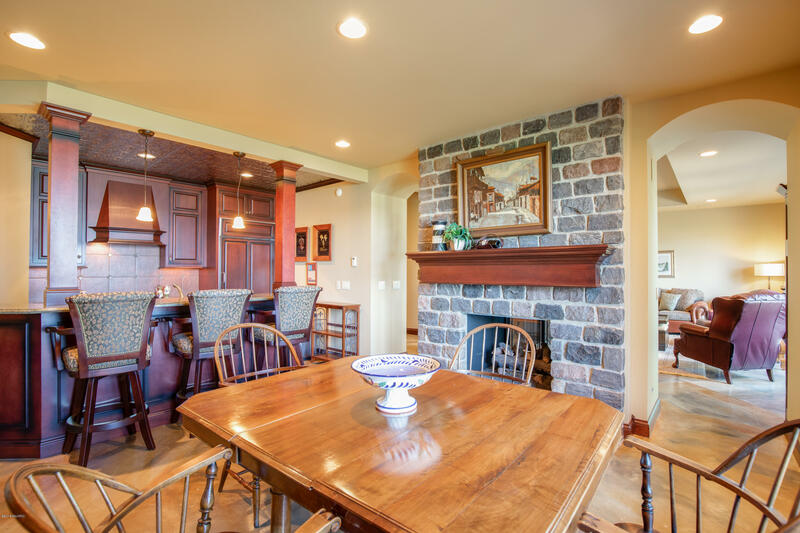 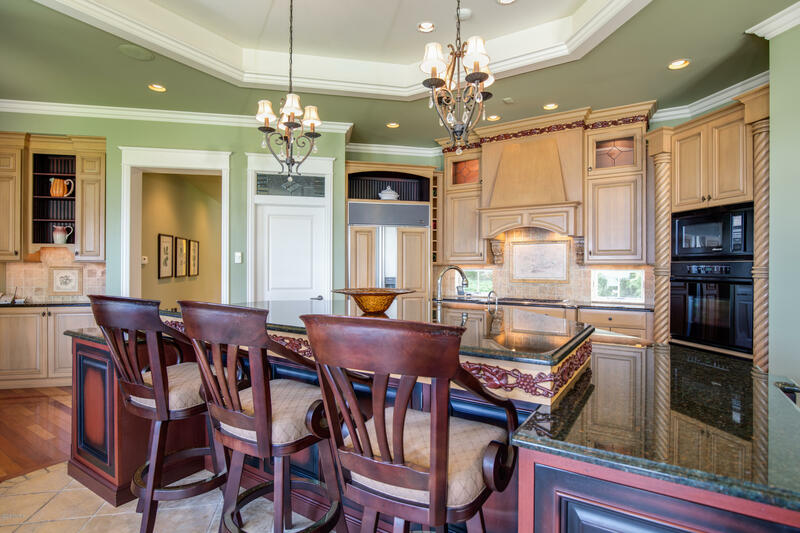 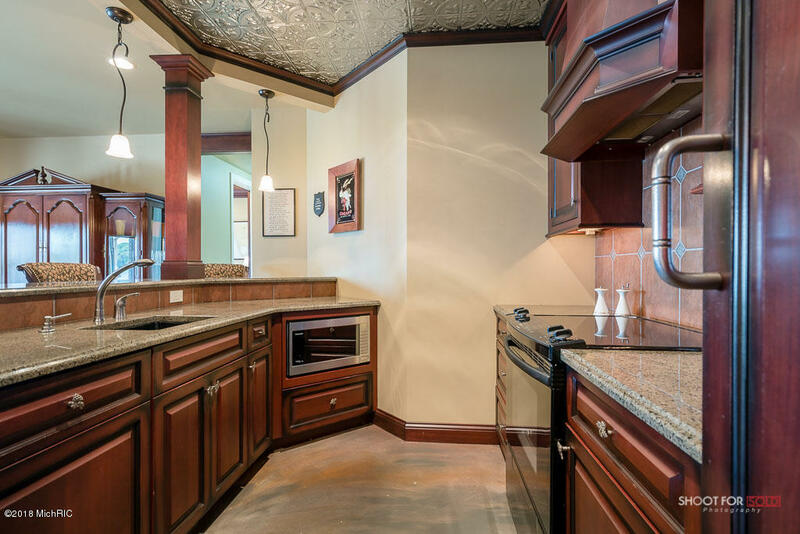 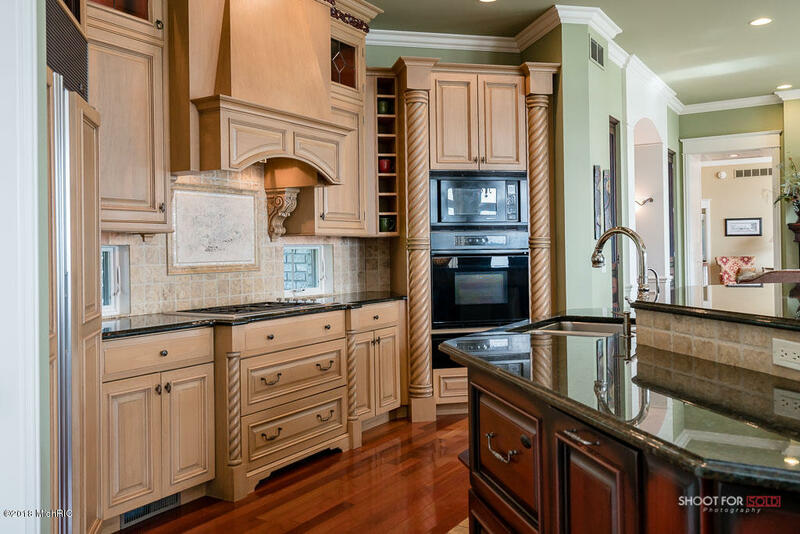 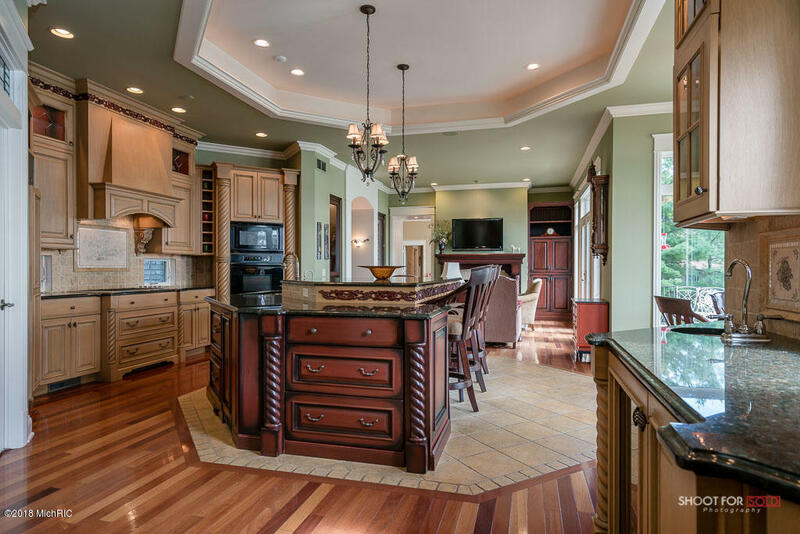 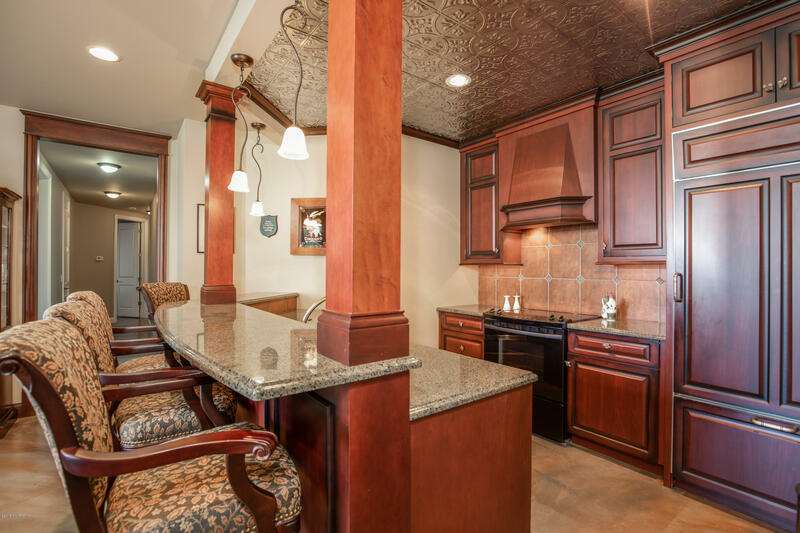 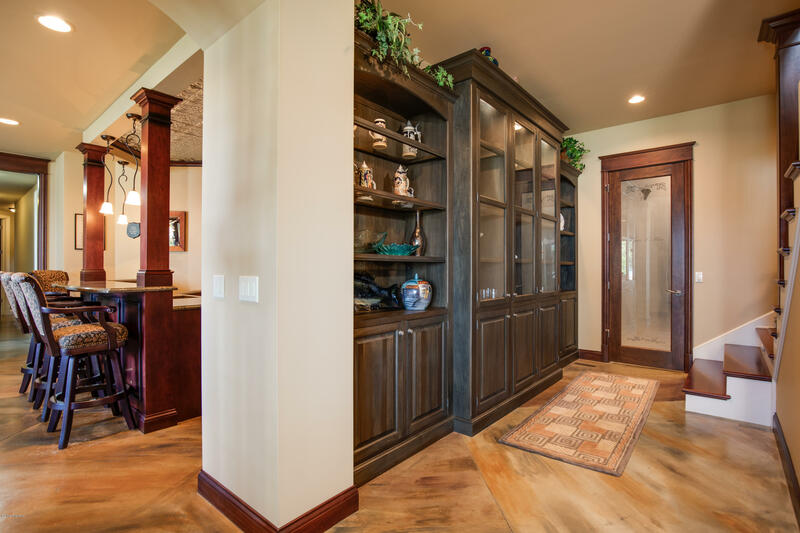 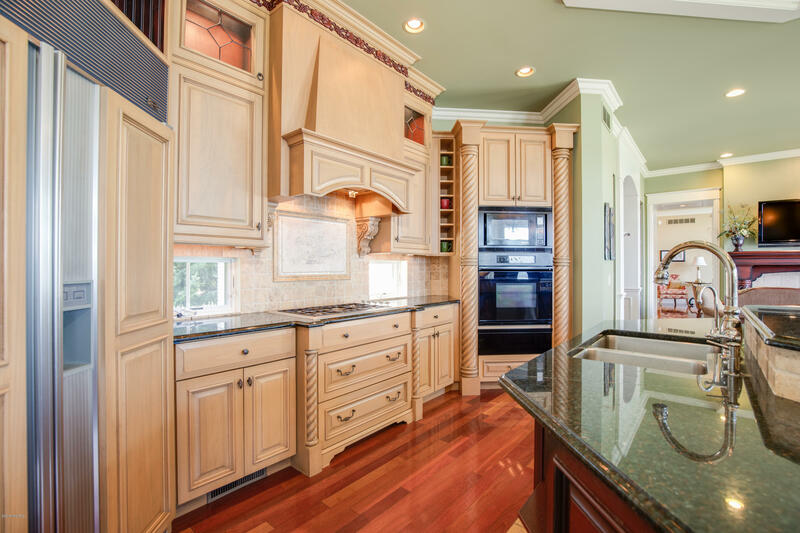 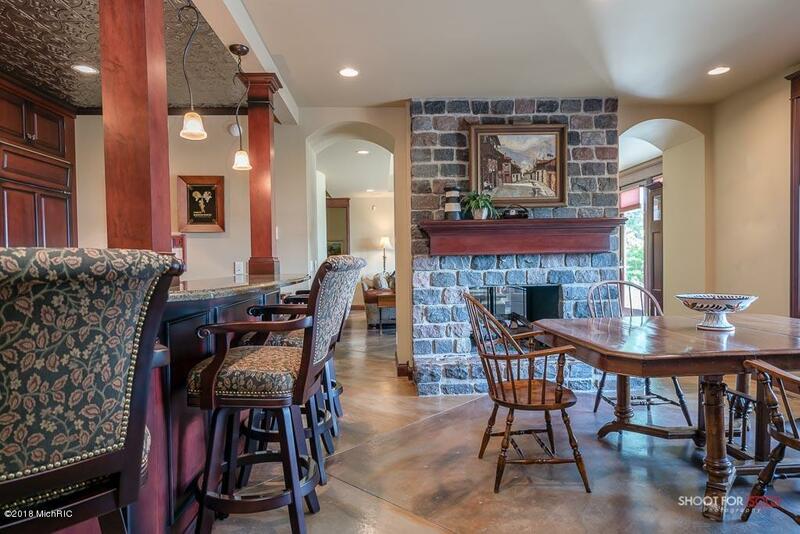 Impressive Chef's kitchen with center island, large pantry, bay window dining, wet bar and Gathering Room. 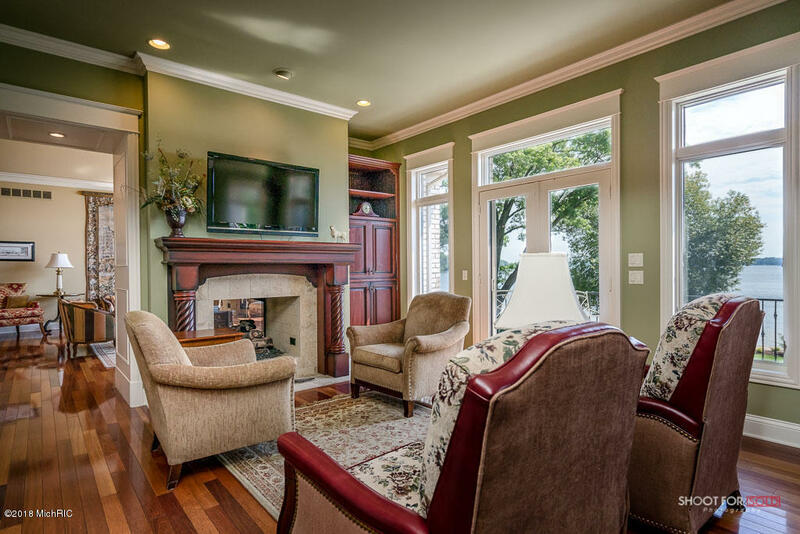 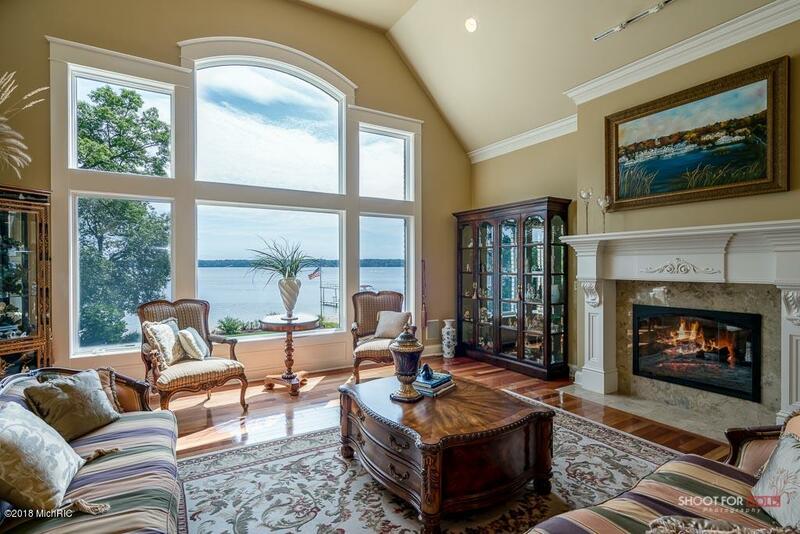 Living Room withsoaring ceilings, picture windows and see through fireplace. 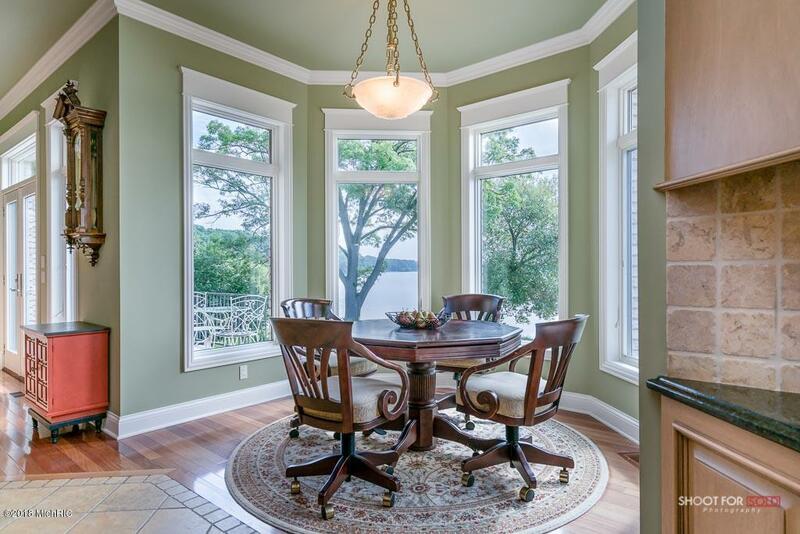 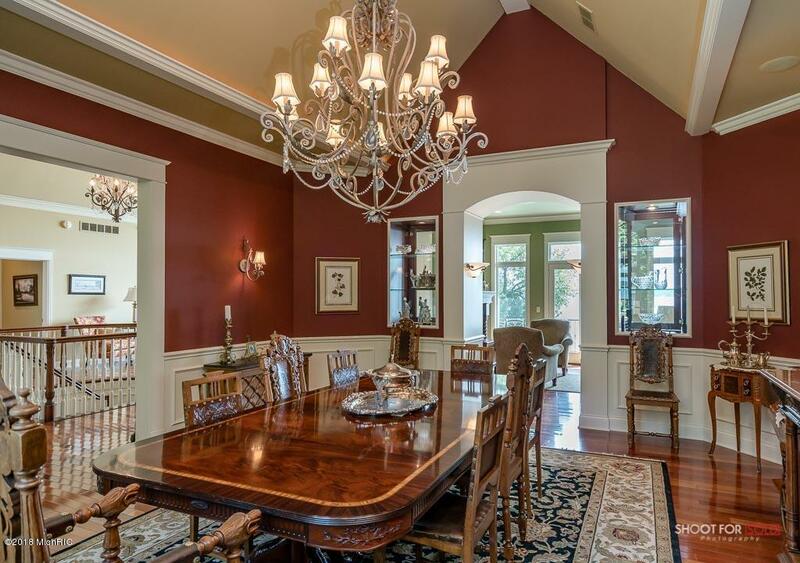 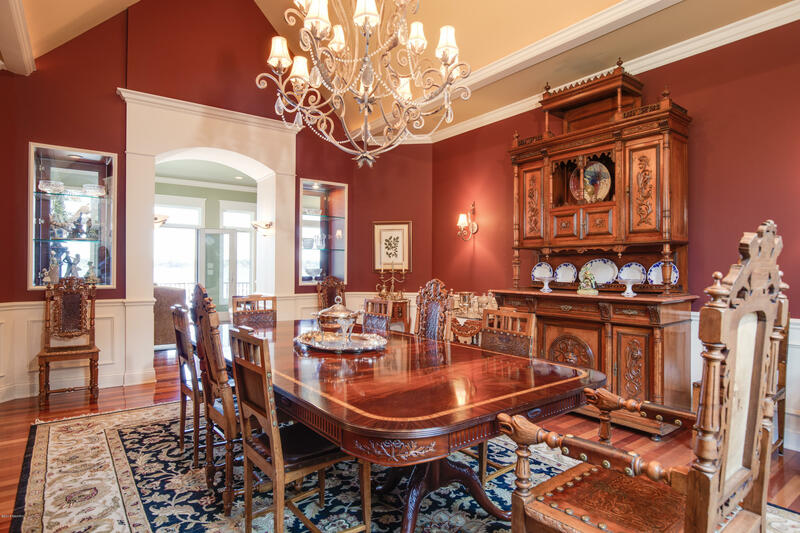 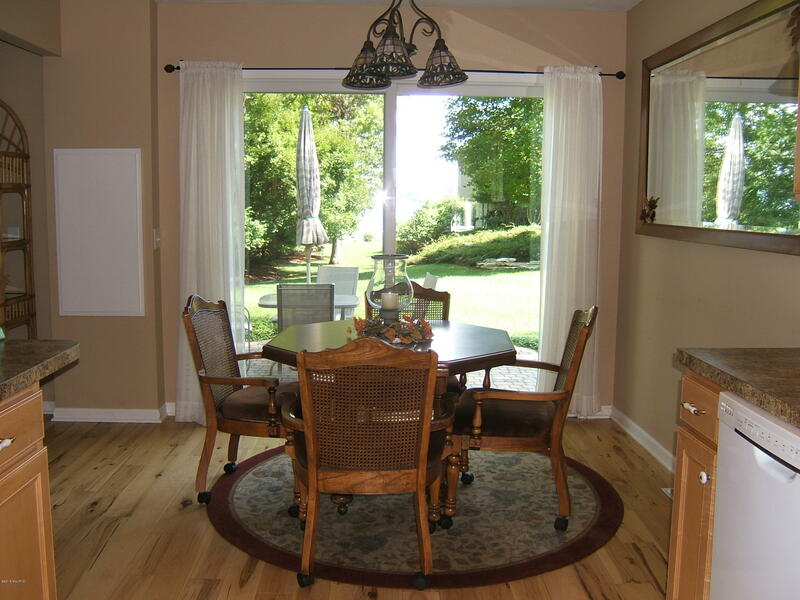 Formal Dining Room with cathedral ceilings. 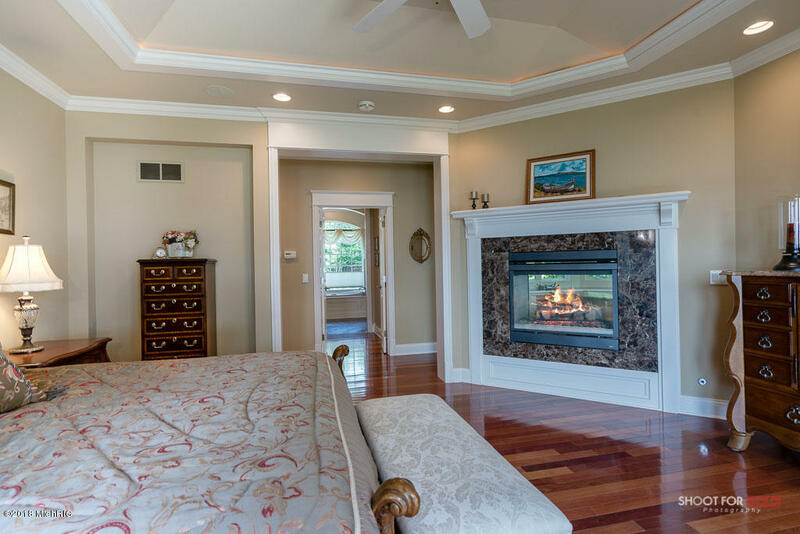 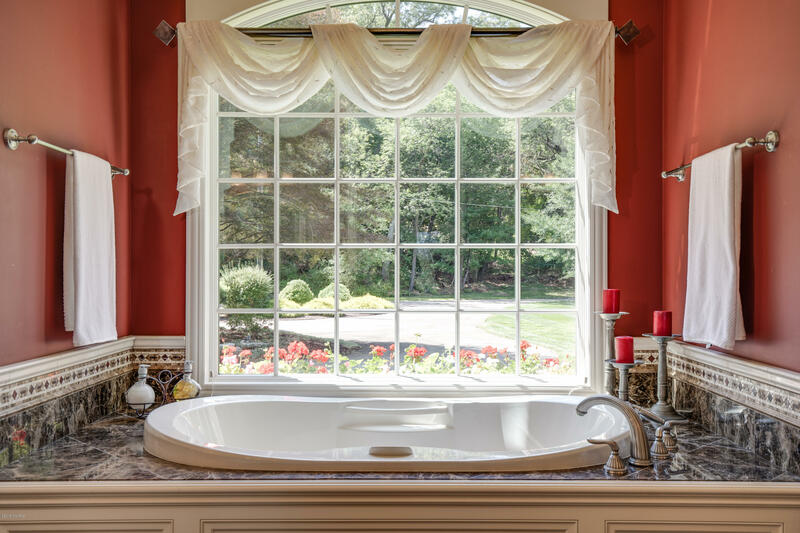 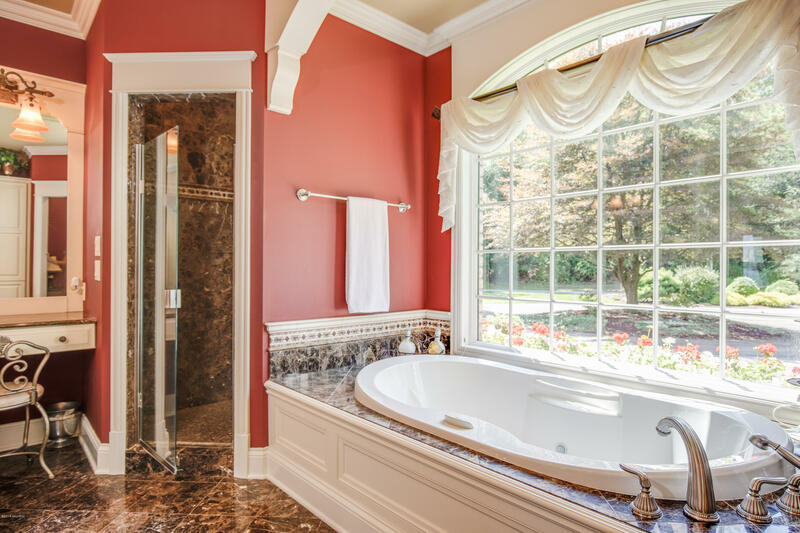 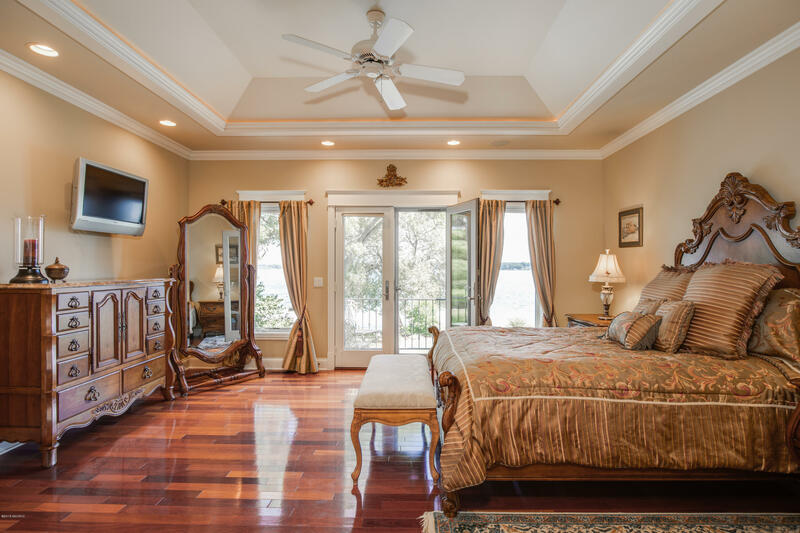 Master Suite with fireplace, walk in closets, private balcony, office with bay windows and deluxe bath. 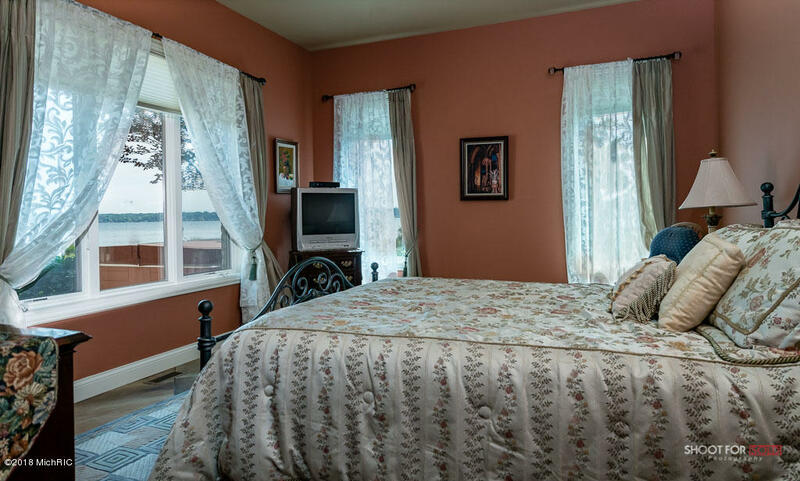 Main floor 2nd Guest Bedroom with private bath. 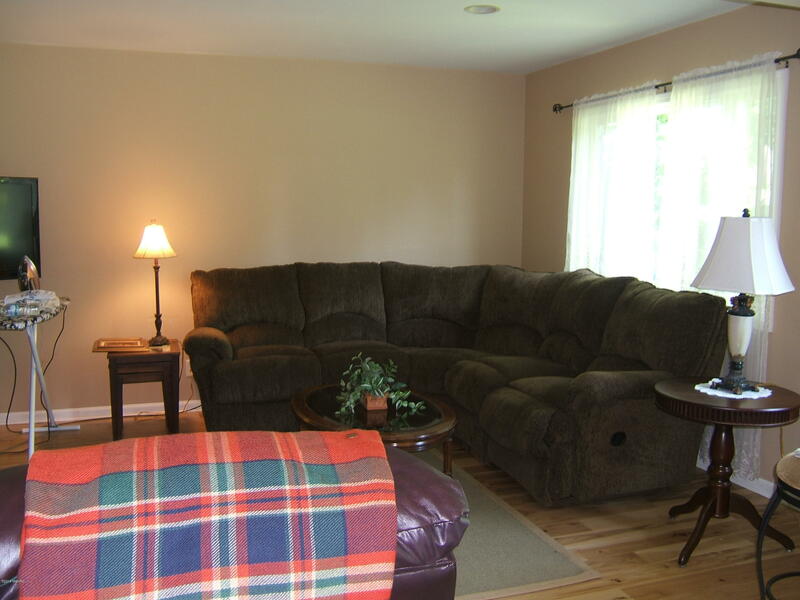 Walkout level with fully equipped Kitchen, eating/bar area, Family Room, 2-way stone fireplace, 3 Bedrooms, and Study. 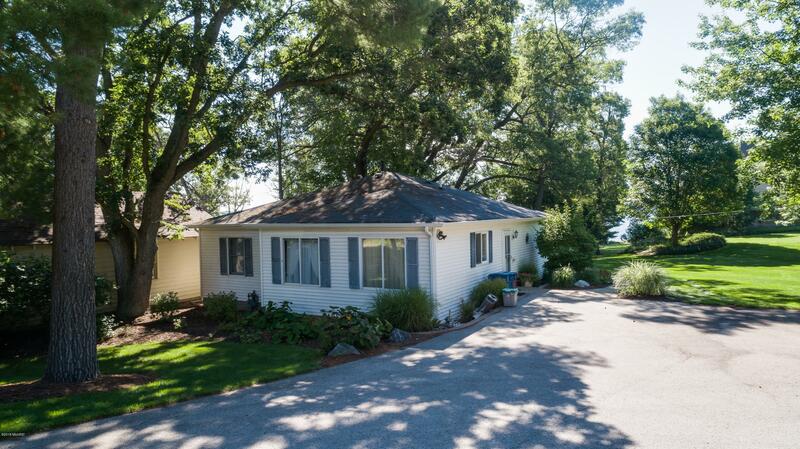 Heated garages & heated circular driveway. 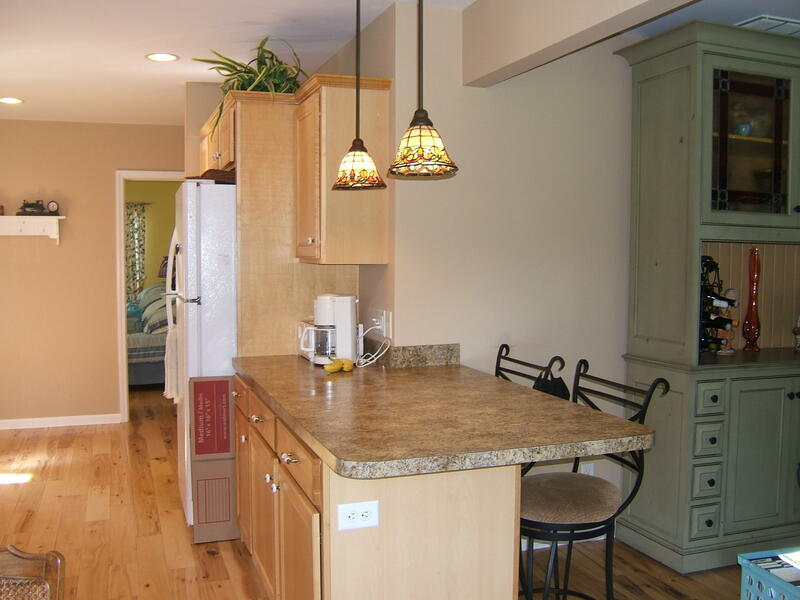 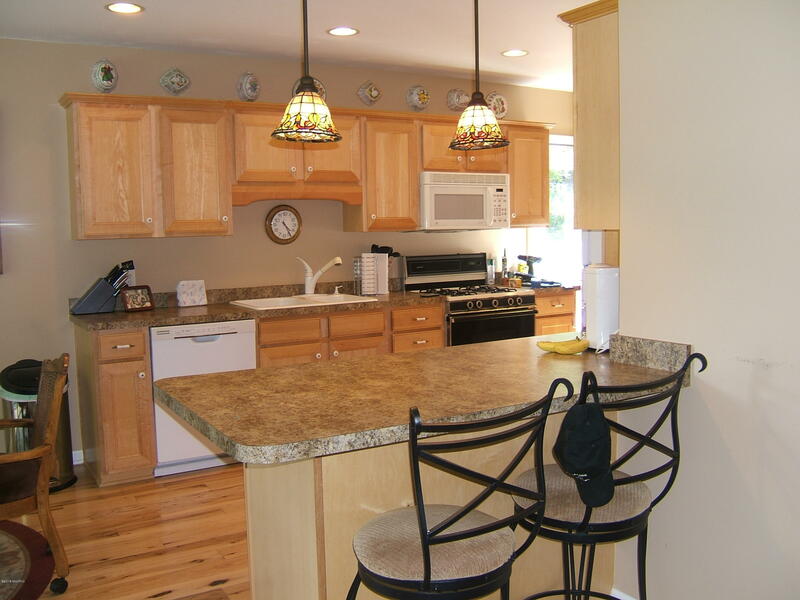 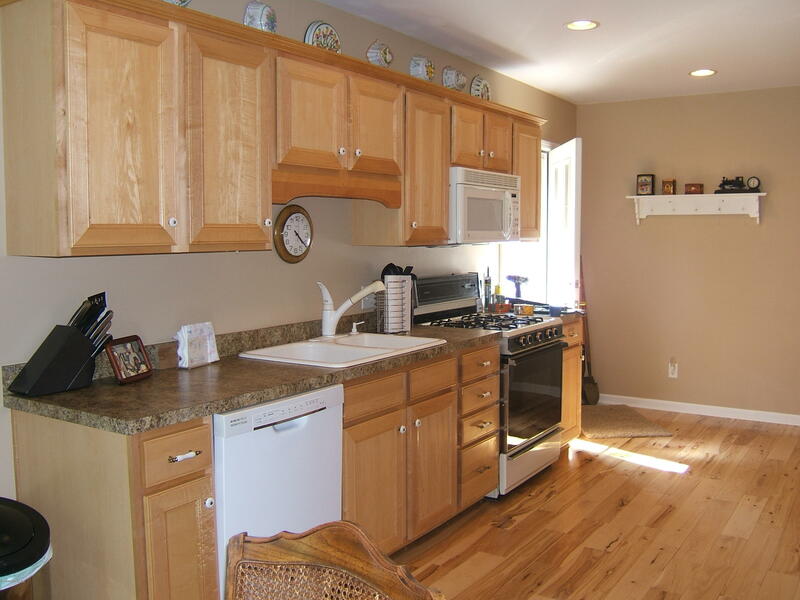 Sale includes remodeled 6265 Old Channel Trail with 3 bedrooms & 2 baths! 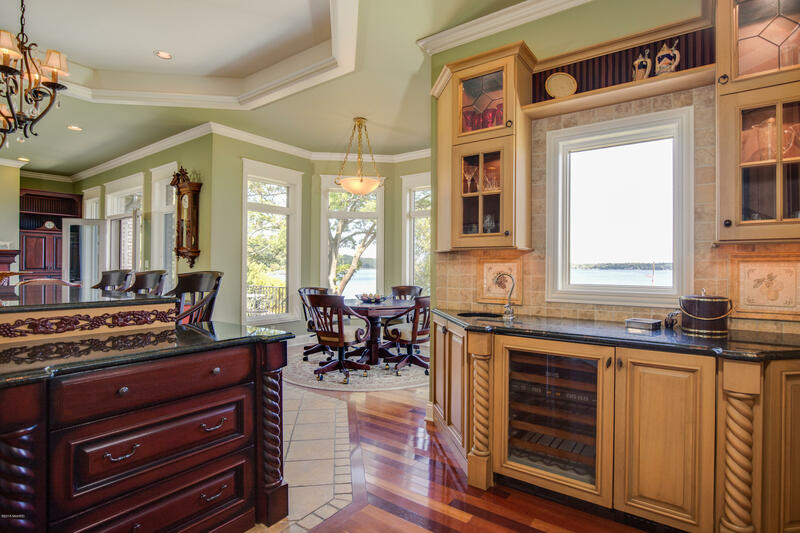 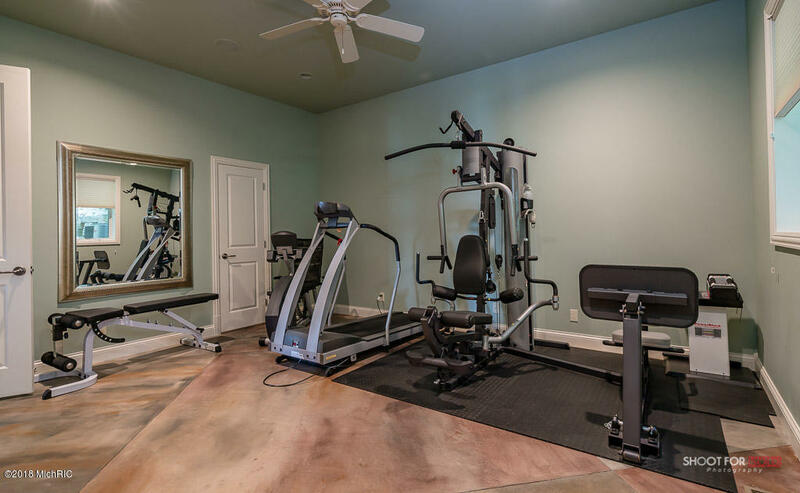 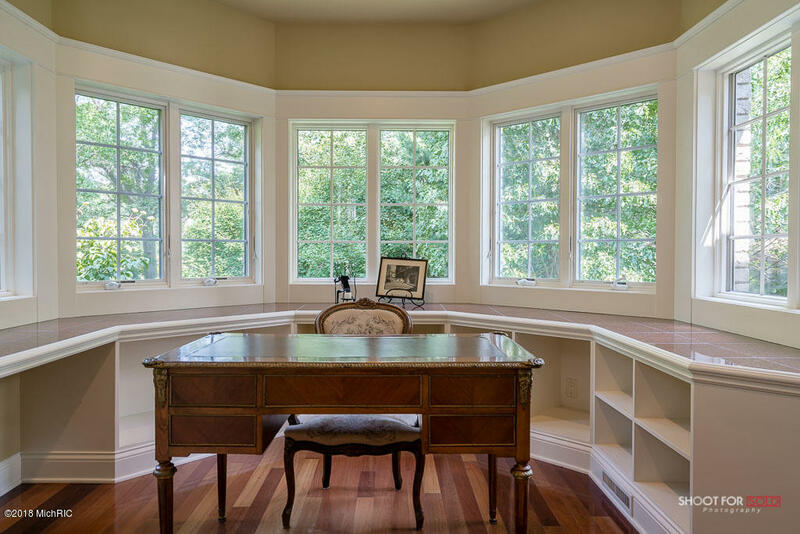 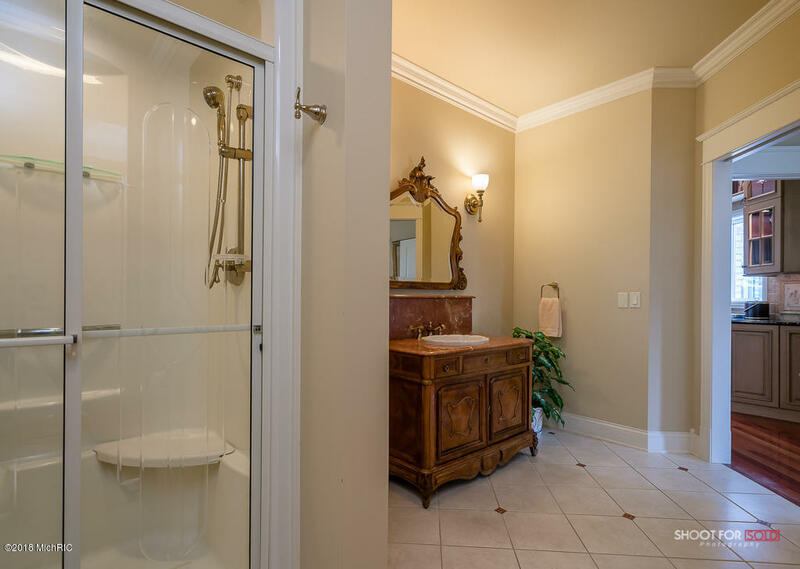 The first floor has an impressive Chef's kitchen and meets all expectations with center island, large pantry, bay window dining area, wet bar and Gathering Room. 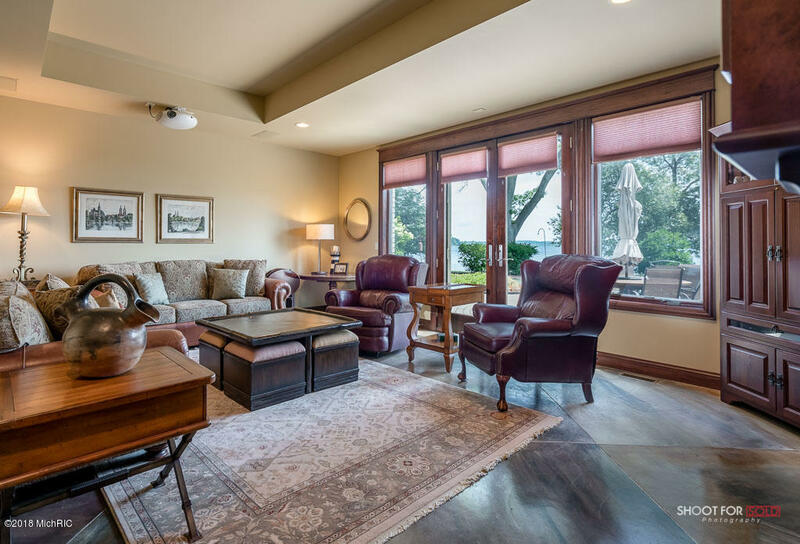 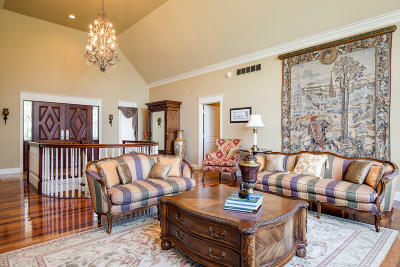 Living Room with soaring ceilings, large picture windows and see through fireplace shared with the Gathering Room. 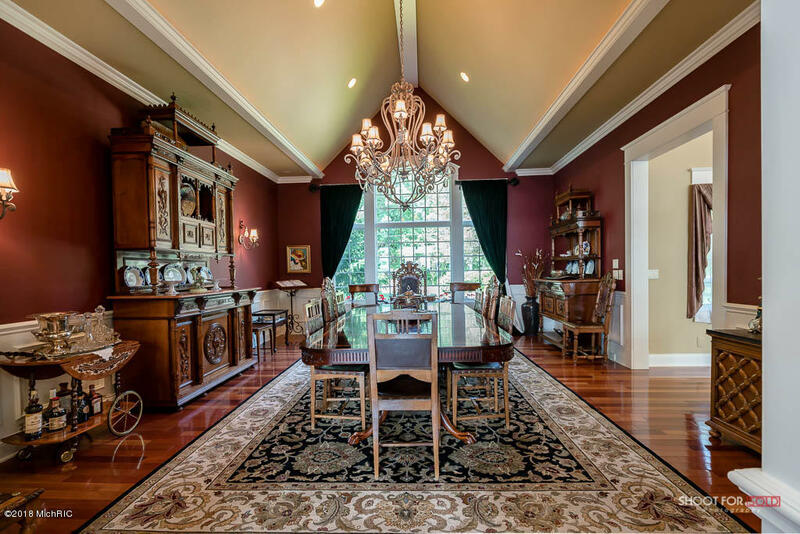 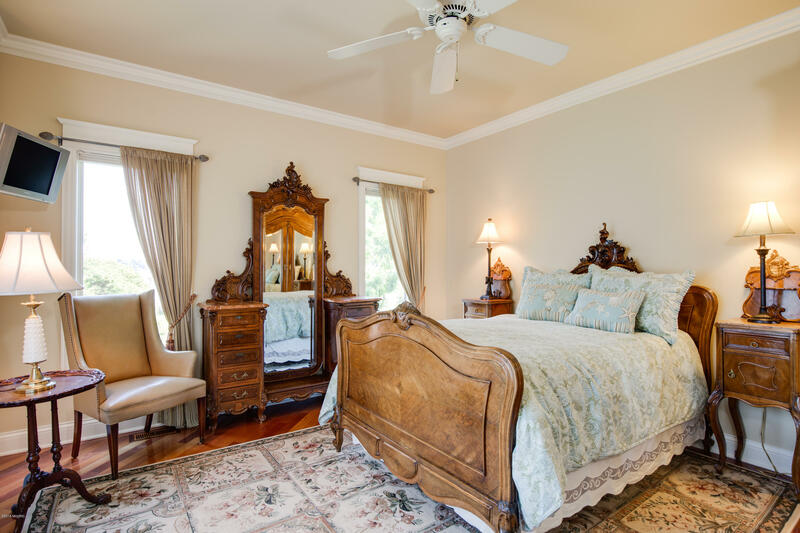 Formal Dining Room with cathedral ceilings, a Master Suite includes fireplace, 2 walk in closets, private balcony & office with bay windows and master bath with a Jacuzzi. 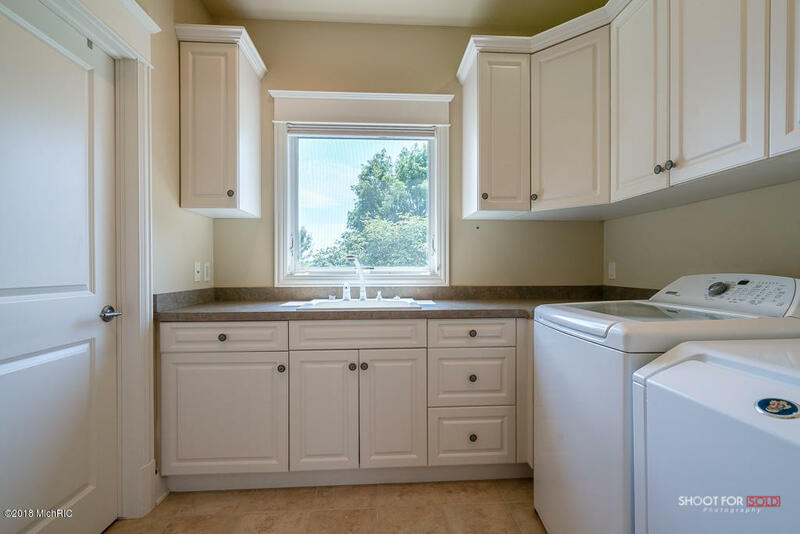 First floor Laundry and First floor 2nd Guest Bedroom with private bath. 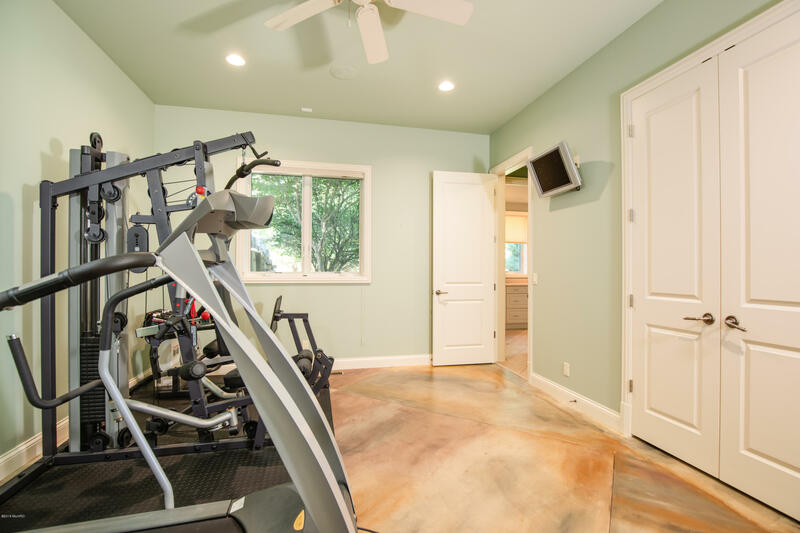 Lower level walkout with 2nd fully equipped Kitchen, eating/bar area, Family Room, 2-way stone fireplace featuring a projection theater system, 3 more Bedrooms, Study, Laundry Room and plenty of storage. 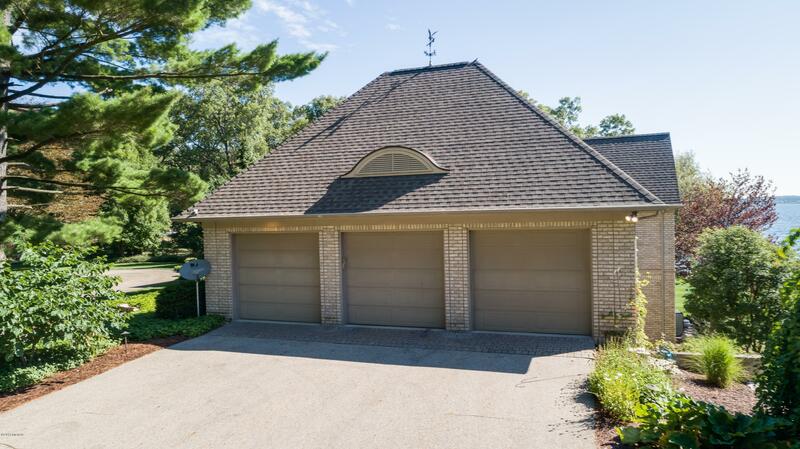 Two heated attached garages (upper/lower) - 3 & 2 car with a heated circular driveway. 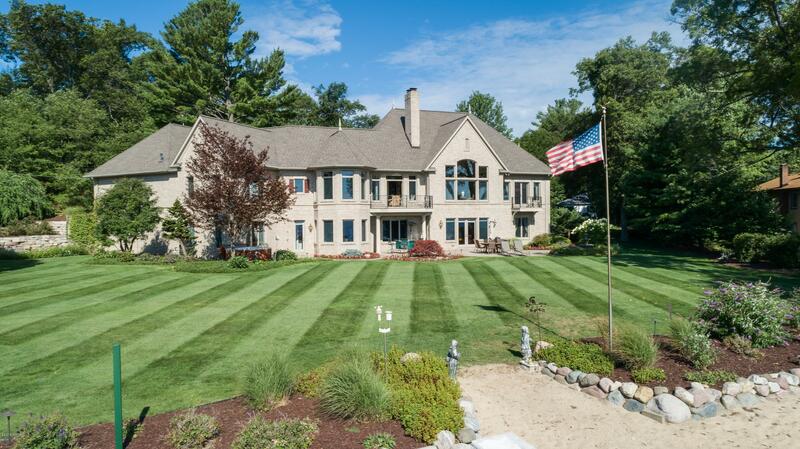 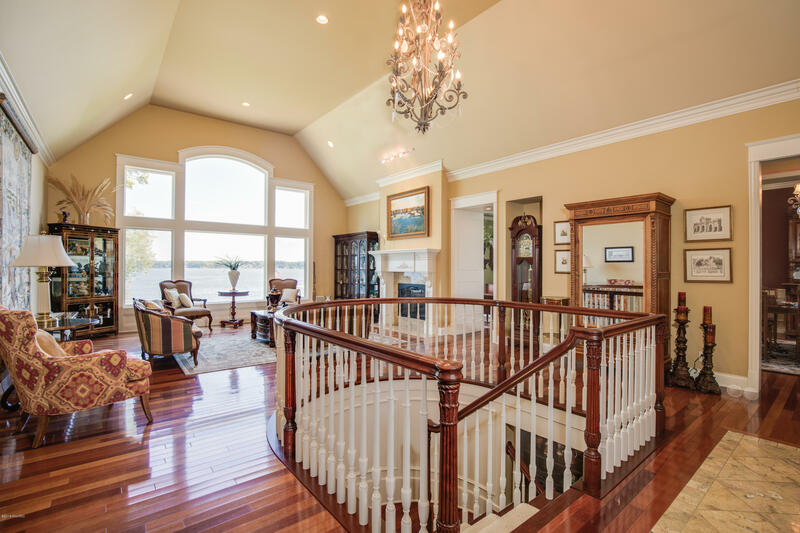 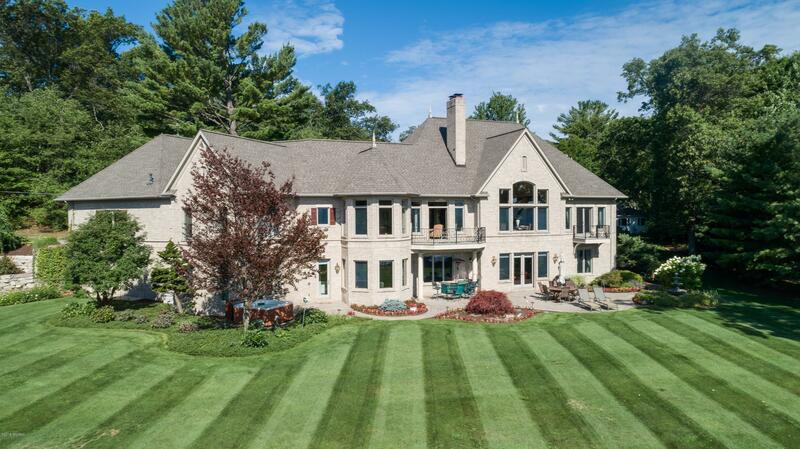 This property is truly spectacular and One Of A Kind located on one of the best deep water bays of White Lake!